Meatballs made with lean ground beef and cooked with a simple tomato sauce in a slow cooker are the perfect cook once dine twice meal! Simply put, slow cooker meatballs with tomato sauce reminds me of my childhood. For as long as I can remember, my Mom has always told me if I made it past 6pm she knew I would join the family for dinner. If not, it was an early night for this one. All parents would agree that 3 or 4pm to 6pm is a witching-hour for most small children. Heck it’s still my witching-hour! It’s not quite bedtime, “hangry” sets in, and nothing seems to please the little whining lump of humanity on the kitchen floor. I’m guessing I just gave my Mom a flashback to what I was like as a child! Anyhow, I should have said these slow cooker meatballs with tomato sauce really remind my Mom of my childhood, because they acted as dinner-in-a-flash when I was in the middle of my meltdowns! Children or not, we could all use some healthy slow cooker recipes in our repertoire. Life is busy. And the temptation to order carryout or visit a drive through is one of the easiest things to do after a long day. BUT, if you take the time to prep a simple slow cooker meal in the morning [or night before], you are setting you and your family up for a healthy meal in minutes, in the thick witching-hour! You might be surprised to see that my meatballs were made with a mix of lean ground beef. No veal or pork. Not that I’m against either… but we LOVE lean ground beef in this house and have a bunch stored in our freezer. It’s also [as the name says] a leaner variety of beef, and because I consider meatballs a cook once dine twice meal, I look for a lower calorie and fat type of meat to use. And nothing says or tastes like a meatball other than beef. If you’re feeling extra zealous, you can make an extra batch or two of meatballs and sauce and double the recipe in the slow cooker too! Eaten alone, with pasta, in between two pieces of bread, or on a pizza, these slow cooker meatballs with tomato sauce make a simple and delicious weeknight meal no matter how you eat them! Fresh basil and grated Parmesan for serving. In a large mixing bowl, combine the meatball ingredients. Shape into twelve 2-inch meatballs. Set aside. In the slow cooker, mix the tomato sauce ingredients. Place the meatballs into the sauce mixture. Cook on low for 6 to 8 hours. Beef Bolognese, Slow Cooker Lasagna Soup, and Sunday Gravy. Manja my friends! As we’ve discussed before, you can’t have too many no brainer meals this time of year! Do meatballs go in “raw”? I’m wondering if they need to be cooked first. The Instructions look cut off for step 1. I look forward to preparing this recipe this week. Thanks. Oh shoot!! I’ll check that Julie. Thank you for flagging. I put them in raw. I know some people like to brown them on the stovetop first but I didn’t have time for that! This looks great! 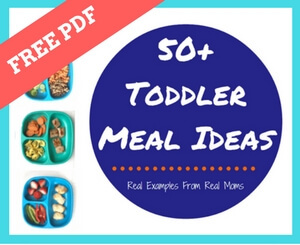 I’m always looking for recipes for my 14 month old. He’s allergic to Dairy, Soy and Sesame so it can be difficult sometimes. Would it ruin the recipe to leave out the Parmesan?? Thanks! Not at all Kim!! You could definitely leave the Parm out. You might want to add a sprinkle of salt just for flavor (since the cheese adds some saltiness too). Totally not necessary.